Leonard Rubenstein is a lawyer who has spent his career in human rights, and now focuses particularly on health and human rights, especially the protection of health in armed conflict, and the roles of health professionals in human rights. At Johns Hopkins he is core faculty of the Center for Public Health and Human Rights and the Berman Institute of Bioethics. 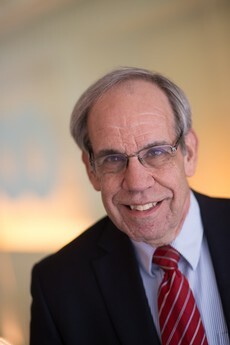 Prior to coming to Johns Hopkins he served as Executive Director and then President of Physicians for Human Rights, as a Jennings Randolph Senior Fellow at the United States Institute of Peace, and as Executive Director of the Bazelon Center for Mental Health Law. Mr. Rubenstein’s current work includes advancing protection of health facilities, patients, and health workers in situations of conflict, advancing refugee and migrant health and rights, exploring the ethical responsibilities of health professionals to advance human rights including in situations of violent conflict. Mr. Rubenstein founded and chairs the Safeguarding Health in Conflict Coalition. 2011 American Public Health Association, Sidel Levy Award for Peace. 2006 Physicians Forum Edward K. Barsky Award for a quarter century of courageous and effective advocacy for human rights throughout the world. 2005 United Nations Association of the National Capital Area, Louis B. Sohn Award for extraordinary service on behalf of human rights. 2003 Congressional Black Caucus, Congressional Hispanic Caucus, Congressional Asian and Pacific American Caucus, Congressional Native American Caucus. Health Care Hero Award. Rubenstein, LS, Amon, JJ, McLemore M, Eba P, Dolan K, Lines R, Beyrer, C. HIV, Prisoners and Human Rights. Lancet 2016; 388:1202-1214. Rubenstein, LS. Punishing Health Care Providers for Treating Terrorists, Hastings Center Report 2015;45, no. 4: 13-16. Rubenstein, LS and Sahloul, MZ, In Syria, Doctors become the Victims, op-ed New York Times, November 19, 2014.